You are here: Home � All Deals , Electronics: Computers Video Games GPS , Featured � Get the Insignia 52” 1080p LCD HDTV for $899.99 [$700 off its regular price]. 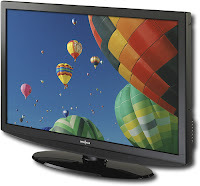 Get the Insignia 52” 1080p LCD HDTV for $899.99 [$700 off its regular price]. BestBuy.com is selling the Insignia 52” 1080p LCD HDTV, with a regular Price of $1,599.99 is now on sale for $899.99. This offer is valid only from 1/17 to 1/23 . The High Def TV is rated at a 4.6 out of 5 stars from owners of the TV. The TV is Energy Star efficient to save money on your power bill. It has 3 HDMI inputs, PC video input, V-Chip parental controls, 1080p display, plus a ton of other features. If you want to read the entire specs of the television visit BestBuy's site for full details.